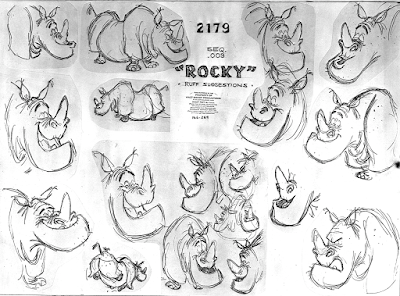 Rocky, the rhino, is a character who was supposed to appear in Disney's Jungle Book. 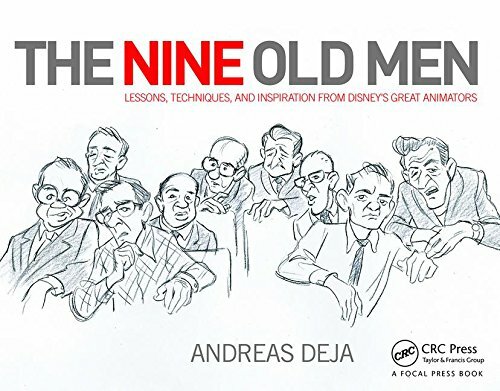 Story man Bill Peet added him to the film's cast, but Walt Disney didn't like Rocky and asked for his removal. 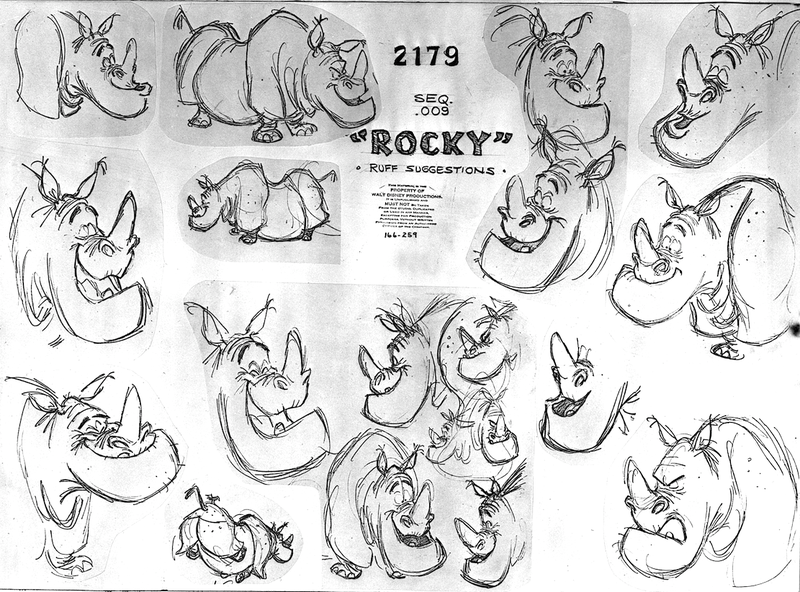 Milt Kahl had already produced this terrific model sheet, the rhino was supposed to be voiced by actor Frank Fontaine. 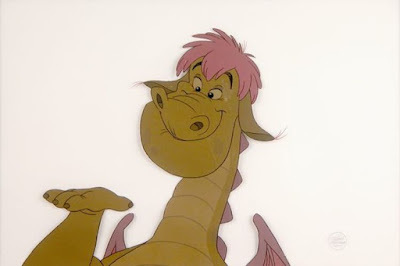 Not all was lost though. 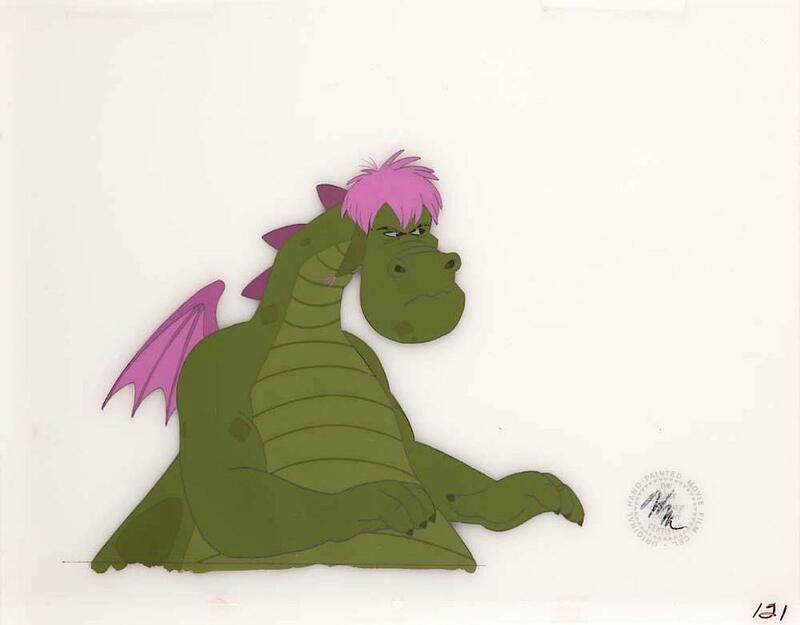 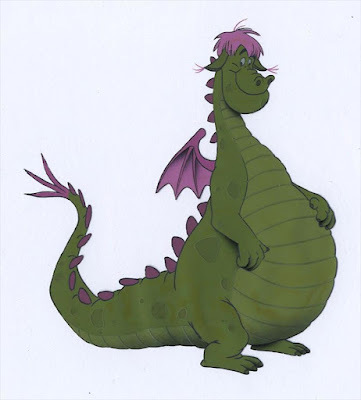 Years later when the studio was looking for a new animated dragon, some of Rocky's facial components were borrowed for this new fantasy character, including the hairy ear tips. Come to think of it, the horn might have worked on the dragon's design as well.